"Don’t be afraid to admit you made a mistake and start fresh. My only regret is that I didn’t found my company earlier, so I could start getting better sleep sooner!" Failure has always been an intriguing topic to me, largely because many people aren’t extremely excited to open up about it, which makes it a mysterious topic. The goal of our series is to put failure front and center to help aspiring entrepreneurs get a bit of a backstage pass to some of the most well respected entrepreneurs in America. 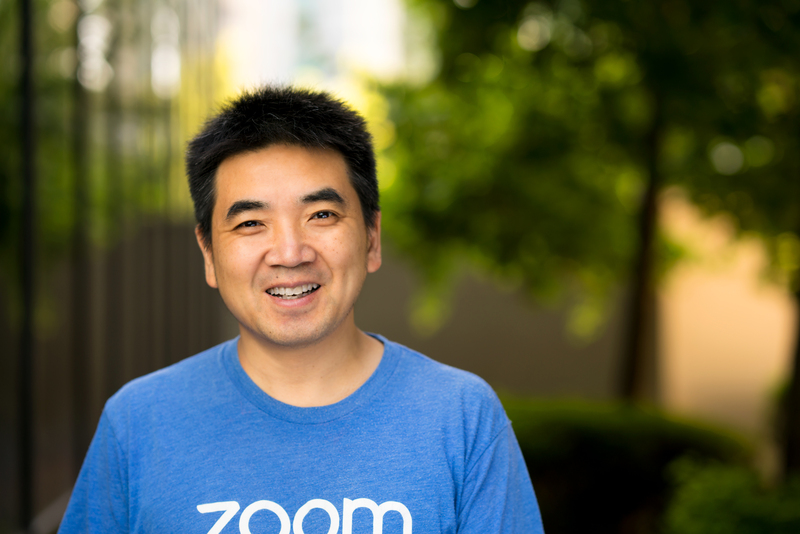 I most recently had the pleasure of speaking with Eric S. Yuan, Founder & CEO of Zoom Video Communications. Zoom is one of the fastest growing video conferencing and communications services on the cloud and is used by businesses and entrepreneurs. Think about all the side-by-side interviews you see on social media, those were likely recorded on Zoom. From having zero customers at the start of 2013, Zoom has grown virally over the past few years. As of August 2017, Zoom hosted more than 20 billion annualized meeting minutes and ranked 18 on Forbes Cloud 100. I was an engineering leader for the WebEx video conferencing platform for 14 years (first with WebEx, then Cisco, which acquired WebEx). As VP of engineering, I spent a lot of time meeting with customers, and found that most of them were not happy with the WebEx platform’s usability, reliability, and video quality. To me, unhappy customers are a sure sign of a failure. Frankly, I didn’t sleep well after I met with WebEx customers. I decided that the only way to solve the customers’ problems was to build a new, better video conferencing solution from the ground up. Cisco leadership didn’t want to make the necessary changes, so I founded my own company to build a solution from scratch. In 2017, Zoom, the company I founded, marked its sixth year and hosted more than 20 billion conference minutes annually (up from 6.9 billion the year before). It had 150% year-over-year growth in users. Thirty-one percent of the Fortune 500 and 40% of Fortune 50 use Zoom. Most importantly, we have an NPS (Net Promoter Score; measure of customer satisfaction) of 72 (compared to an industry average NPS of 17). I had to experience the pain of failure to build something great for my customers. And, don’t be afraid to admit you made a mistake and start fresh. My only regret is that I didn’t found my company earlier, so I could start getting better sleep sooner! Q. What is your elevator speech on your professional career: Who are you, what have you done and how does that translate into value for your customers? I put in 14 years of hard work (WebEx and Cisco) during which I faced many unhappy customers. I was always pushed to work hard but wasn’t focused on fixing the customer experience until I got in front of them and actually listened to them. I learned invaluable lessons from those experiences. It’s essential to listen to your customers in real-time and take their input to heart. Always strive to make your customers happy. Without their happiness you can’t achieve success. Q. Tell us about the lowest point in your life professionally and how it helped you get where you are today?, then we can dive into the specifics? How much did you lose? I had many moments when I felt I was at a low point. I was absolutely miserable at Cisco. I viewed WebEx as my baby and had no control to impact the customer experience. I voiced my opinion and was always told I was wrong. Why should I even go to the office? I decided that I was leaving, but I always discussed decisions with my father. Thankfully, my father approved of my leaving Cisco and striking out on my own, even though he had always been a conservative decision maker himself. He had a heart attack and passed away soon after. It was the lowest point in my life. I told myself I have to take action. Q. How did your Investors react to 2011 and 2012? I created a plan from the start to build Zoom correctly the first time. The plan was to balance product development and investors’ agendas. I was raising money and many of the investors didn’t even really know what I was doing, they invested based on trust. The investor deck wasn’t as important as our personal relationships. Because they trusted me, they gave me the time to develop the product instead of rushing me. Q. Let’s show everyone you’re a normal human being. What’s your personality, hobbies, favorite places to visit, pet peeve? Tell us about YOU. I don’t focus on a balance between work and personal life. I enjoy what I do. I communicate with the team all the time. It’s my life. It’s my passion. When I’m not working, I’m with my kids. It’s not about balance, it’s life. Q. What are your “Three Lessons I Learned from My Most Memorable Failure”? Just do. There will always be a risk…take action. Patience. Hard work pays off. the world and make it sustainable. Q. What is the best lesson you learned from your worst boss? Don’t publicly criticize your team. A boss gave me a new task, and he was pushing very hard to correct years of mistakes in just a few weeks. I was publicly criticized (when it couldn’t be done), and it was humiliating for me, although it wasn’t a huge issue for my boss and me. If you have a trusting relationship, you can overcome obstacles like this. Q. What are two daily habits you never break, no matter where you are? I’m constantly aware of my passion for our business and always questioning myself to reaffirm we are doing the right things. I start the day with my morning triangle, the three things I always ask myself. – What are my strengths and am I fully utilizing them? – What are my weaknesses and am I properly delegating? – Will I make the choice today to work hard? – Do I care about teammates and how can I better show it? – Do I care about my company and do my actions communicate it? – Do I care about our product and service and is it relevant to changing the world? Q. Many people say success correlates with the people you meet in your life. Describe one that most impacted your success? Walmart’s former CEO H. Lee Scott Jr. I met him at a meeting for leadership at Cisco and he shared his 10 concepts for leadership. He’s the biggest influence on my leadership style. I posted my three favorite concepts throughout the office, and they still hang in my current office today. 1. Most of what you say the first time will be misunderstood or ignored. 2. The ability to give honest, constructive feedback is a rare talent. 3. The harshest critics may be the most helpful voices you hear. Q. What types of books do you read and why, and what one title do you recommend? I’m a huge fan of books! The Zoom book club reimburses employees and their families for books they buy. We’re always encouraging employees and their families to read and we’re happy to pick up the bill. My favorite book is Speed of Trust by Stephen Covey. A start-up has everything to do with speed, but without trust, things will always move slower. You need to have a strong team in place who can trust each other for their respective roles and responsibilities. If you have that, you can work faster to get things going and know everyone is focused on the same end goal. I always have a book in the car, in my backpack… everywhere. Q. What are the things you have done to change your culture in Zoom? We created a culture to “deliver happiness” (to customers and each other). We identify employees with self-motivation and a dedication to learning. We even have a Chief Happiness Officer who runs a volunteer team called our Happiness Crew. They are responsible for putting on events and activities that help promote our culture of happiness. If an employee isn’t a great fit in their current role, we will always look for other avenues for them before just removing them. However, we have ZERO tolerance for a lack of integrity. Q. What one piece of advice do you have for aspiring entrepreneurs or business owners looking to catch their big opportunity? Make sure your existing customers are happy, otherwise you’re toast. Also, be patient. Q. Looking back, what was the most unconventional way you landed a memorable deal that made your success turn in the right direction (have fun with this one)? My focus has always been providing value to others without the expectation of anything in return. Many people are always looking for what’s in it for them. By openly caring about the success of others before yourself, you’ll build better relationships, which will in turn will help you win bigger and better deals. This is exactly how we were able to build such quick momentum with Zoom: we built strong relationships first, which proved to be the best move we could have made.